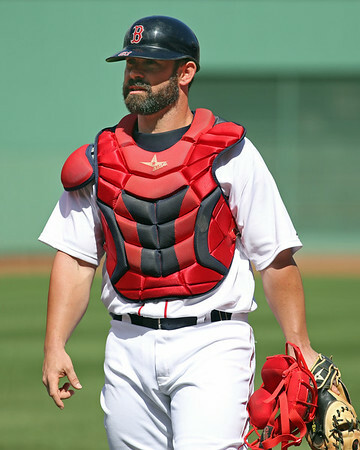 The Red Sox have signed veteran catcher Dan Butler to a minor league contract. Butler returns to the Red Sox organization where he played from 2009 to 2014, making a brief seven-game appearance for the 2014 major league team. The contract includes an invitation to major league spring training, and was originally reported by Jon Heyman of the MLB Network. Butler, 29, originally signed with the Red Sox in 2009 as an undrafted free agent out of the University of Arizona where he had been the backup catcher. Like most undrafted player he was not originally regarded as a prospect, but his strong .310/.411/.482 season in 2010 between Low A Greenville and High A Salem earned him recognition as a South Atlantic League All-Star. Butler's gradual rise through the system included Carolina League All-Star honors in 2011, an addition to the 40-man major league roster after the 2012 season, and a strong .262/.350/.479 batting line in 2013 for Pawtucket while sharing catching duties with Ryan Lavarnway. He made his major league debut on August 10, 2014, going 0 for 3 against the Los Angeles Angels, and went 4 for 19 with three doubles in seven games across two major league stints that year. Butler was dealt to the Washington Nationals following the 2014 campaign in exchange for lefty Danny Rosenbaum. He hit .227/.316/.316 with the Triple-A Syracuse Chiefs and was outrighted from the 40-man roster in August, making him eligible for minor league free agency following the season. Butler is out of minor league options and is one of six catchers invited to major league camp.